And that’s a wrap on our 7th Vintage & Craft Fair! Thank you to all those that supported us; stallholders, entertainers: saxophonist Joy, Jim Rogers, Brian Hooper & Serena Lin, Victory Gospel Church, our lovely media friends for publicising and our fab volunteers that worked so hard to make the event a success. We raised some £800, which is down on previous events but still a nice sum to go towards helping our neighbours in need. 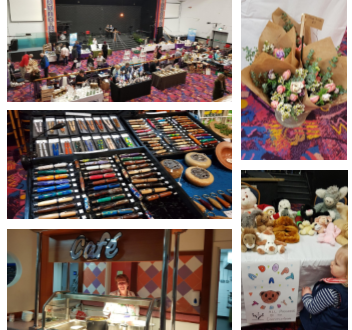 The fair saw a really wide range of sellers and crafters – everything from handmade wooden pens to floral creations and vintage jackets. 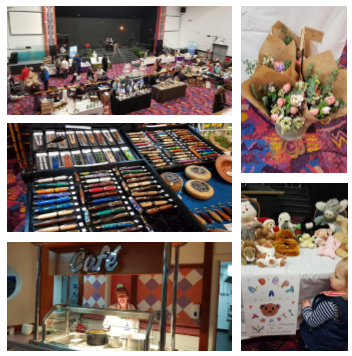 One stallholder said it was the best event she’d been to as it was brilliantly organised and she’d been treated so well – what a fab nod to staff and volunteers! This time we advertised the fair on social media, as well as on Evensi, Discover Southampton, What’s on in The Echo, via an interview with Radio Solent and by sharing and sticking up posters. If you have any fresh ideas for where we could advertise our events, we’d love to hear from you! ‘Adopt a Teddy’ – we’re in the news! Kevin is running the ABP Southampton Marathon for Communicare!